What would a collectible card game be without cards? Well, it would be a collectible game.. Heh. Cards are the medium in which Hearthstone is played with. 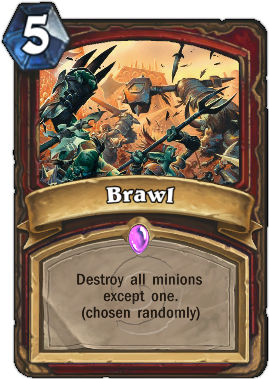 Almost everything in the game is represented by a card, whether it is Abilities, Minions, Weapons, Heroes, or Hero Powers. Cards are brought into play through various methods, all of which will be demonstrated below. Ability Cards, or Spell Cards as some players call them, are cards which are not put directly into play but when played from your hand, will make changes to the game. Abilities range from allowing yourself to draw a card, to buffing your minions, or dealing incredible damage to your foes. Ability Cards are class specific, with the exception of some cards which insert abilities into the game, such as King Mukla, who gives your opponent Bananas. Be sure to check out our complete collection of ability cards! Minion Cards are responsible for filling your side of the board with magical creatures. Your minions are responsible for protecting you and dealing damage to your enemies. Players are limited to a maximum of seven minions out at once on their side of the board. If your side of the board is full and you activate a card that would otherwise place a minion on the board, that minion will not be brought into play and will instead be destroyed. Minions are summoned into play using Mana from your Mana Pool. Once brought into play they will have Summoning Sickness and be unable to attack until your next turn. Minions have both offensive (Attack) and defensive (Health) stats. Once a minion’s Health reaches zero, it is removed from play and placed in to the Graveyard. Minions may be class specific like the Ethereal Arcanist (Mage only), or neutral like Deathwing (Everyone can use him!). Although in Warcraft Lore, minions may be associated with a faction, in Hearthstone for the sake of gameplay, factions are irrelevant. Both Horde and Alliance minions may coexist within your deck. Hugs for everybody! Except the Trolls. Ugh, those feet..
For a full listing of Minions, we’ve got you covered. Make use of our powerful filters to narrow down your results. Weapon Cards are class specific cards which are equipped to your hero. Your hero may only wield one weapon at a time. Equipping your hero with a weapon will allow him or her to send out devastating attacks against your enemies to knock them to the ground. Weapons attributes are like Minions, except instead of having Health, they have Durability. Durability is lost each time you make use of your weapon, which means you are only able to attack with a weapon for each point of Durability you have. When a weapon runs out of durability, it is removed from play and placed in your graveyard. Using Sword of Justice, a Paladin weapon, as an example, You may attack with the weapon a total of five times, each attack will deal one damage to its target. Sword of Justice has an additional effect though, which forces it to lose durability each time you summon a minion while it is in play, but at the cost of one durability. 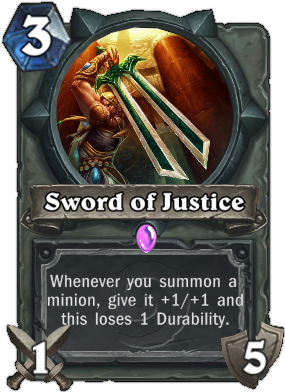 Sword of Justice is unique in this regard and can be used to buff your minions instead of attacking your opponent. 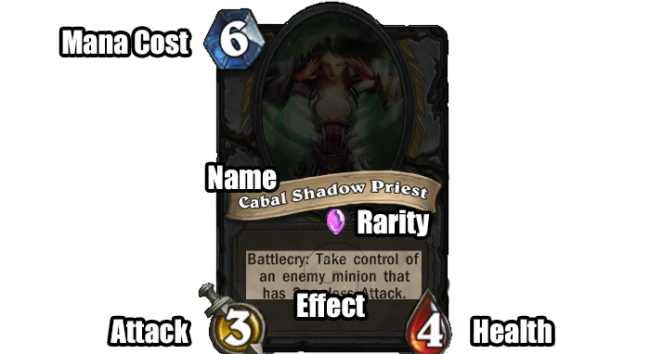 Check out our database to see all of the different weapons in the Hearthstone arsenal. 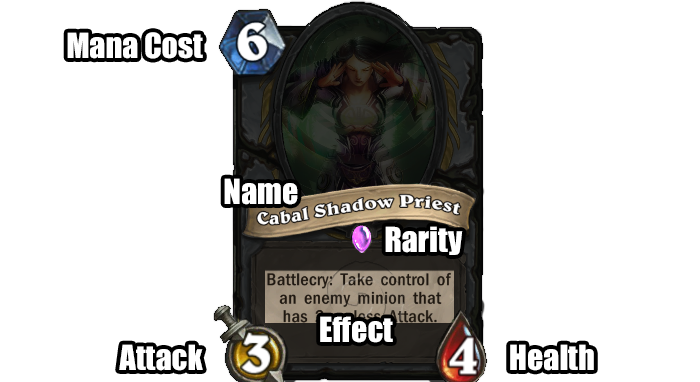 Each Hero has a Hero Power that can be used for 2 mana, once per turn. Hero Powers may be used on enemy or friendly characters, unless otherwise stated on the Hero Power (i.e. Rexxar is limited to enemy Hero). Hero Powers which summon a Minion onto the board will always summon the minion to the right of the furthest right friendly minion on the battlefield. The following is a table of Heroes and their Hero Powers. Malfurion Stormrage Shapeshift Gain 1 attack this turn and 1 armor. The attack is temporary, while the armor remains until used. Rexxar Steady Shot Deal 2 damage to enemy Hero. Jaina Proudmoore Fireblast Deal 1 damage. Uther Lightbringer Reinforce Summon a Silver Hand Recruit. 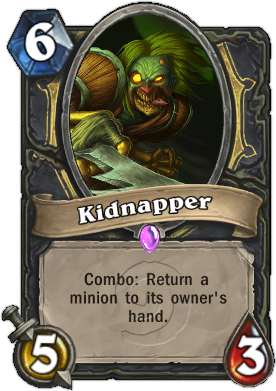 Anduin Wrynn Lesser Heal Heal target minion or Hero for 2. Valeera Sanguinar Dagger Mastery Equip a 1/2 Wicked Knife or give your weapon +1 attack this turn. Thrall Totemic Call Randomly summons a Healing Totem, Stoneclaw Totem, Searing Totem, or Wrath of Air Totem. Always summons a totem not in play. Gul’dan Life Tap Lose 2 life and draw a card. Garrosh Hellscream Armor Up! Gain 2 armor. The amount of damage you do when you attack. The amount of damage you can take before dying. When this reaches zero, you’re dead! The amount of swings you can take with your weapon. The Arena: Build a deck by selecting one card from each of a series of randomized card choices, and then play against other Arena participants. At the end of your run in the Arena, you will unlock a chest using your key (upgraded through wins) which has a chance give you Booster Packs, or even Golden Cards!